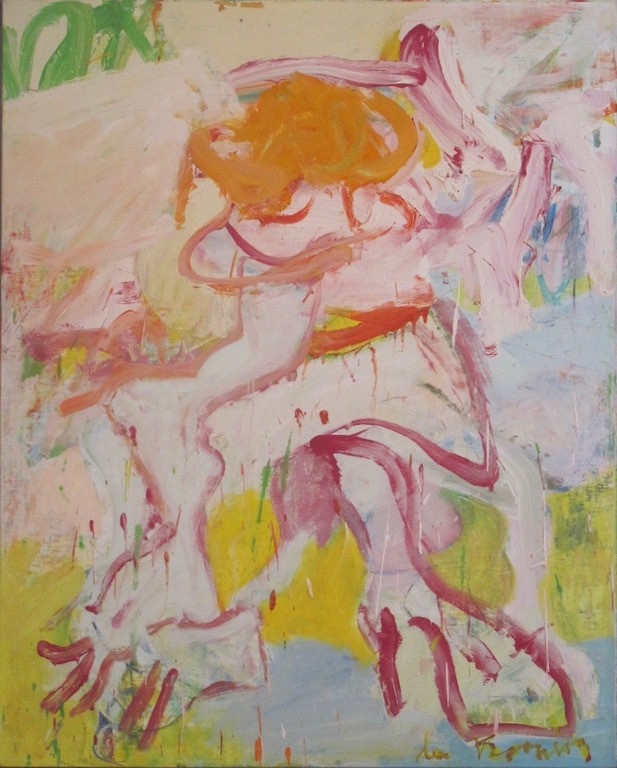 The first is “Arthur’s Woman,” below, by Willem de Kooning. 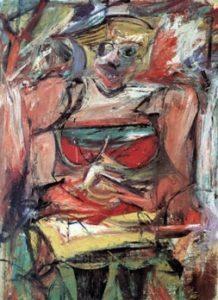 I think of de Kooning’s women as rather formulaic and busy busy busy, as in “Woman V,” right. But “Arthur’s Woman” is quite different—wonderfully relaxed and sprawling. I have no idea who the lady was, but clearly she put out all the right vibes. It’s a good-sized piece: 60 x 48”. In the domestically scaled spaces at Berggruen it’s a major presence in all the right ways. 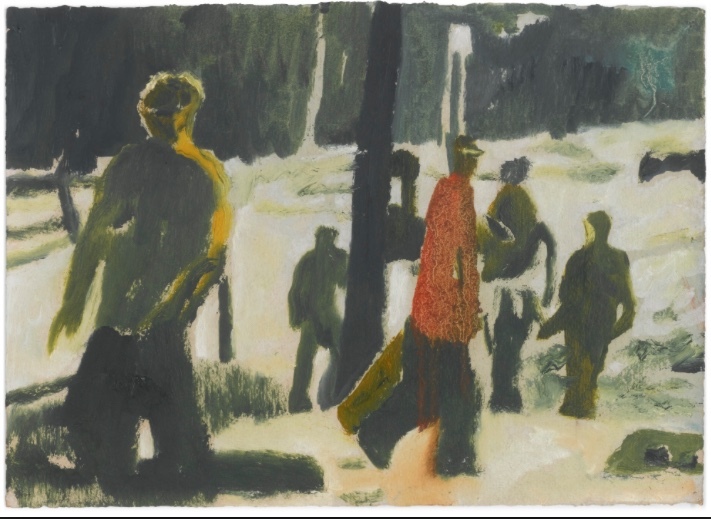 Also at Berggruen, off in a quiet corner, is “Orange Sunshine” by Peter Doig. I seldom feel the need to look twice at a Doig, but this one is lively and compelling. It’s small, about 7 x 10”. It hangs at that exciting border between narrative and abstraction where there is a “picture,” but at the same time you never lose the flavor of the shapes and brushstrokes. Two real paintings, two happy discoveries.